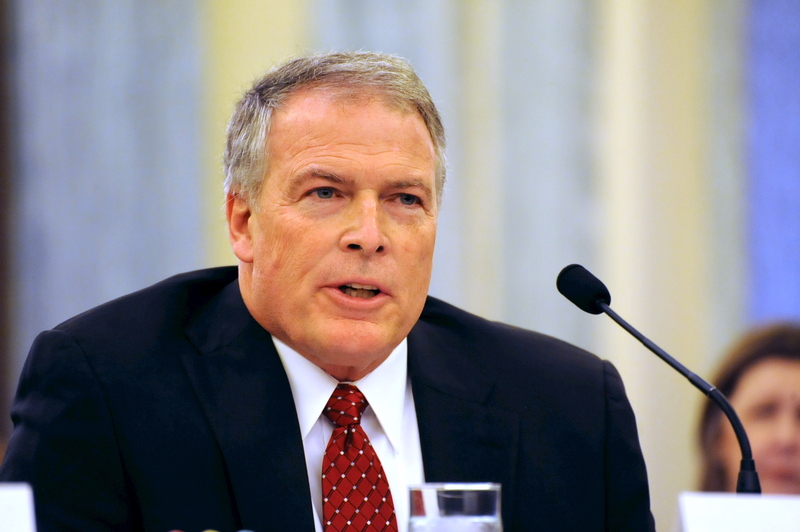 Chairman Ayotte, Ranking Member Cantwell, distinguished members of the Subcommittee; my name is Pete Bunce and I am the President and CEO of the General Aviation Manufacturers Association (GAMA). Thank you for allowing me to testify on behalf of GAMA and its member companies today. 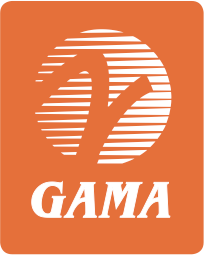 GAMA represents over 85 companies that are the world’s leading manufacturers of general aviation (GA) airplanes, rotorcraft, engines, avionics, and components and businesses that manage maintenance repair stations, pilot training, and fixed-based operations facilities worldwide. I applaud the leadership of the Subcommittee, as well as the Commerce, Science and Transportation Committee, for focusing on the importance of aircraft certification activities. I look forward to sharing with you our perspective on the current regulatory environment, including ways that it can be strengthened to improve safety and enhance efficiency in a globally competitive marketplace. With the collective leadership of this Committee as well as the Federal Aviation Administration (FAA) and industry, I strongly believe that we can sustain and grow valued GA manufacturing jobs that I’m so proud to represent here today. Much of this information, as well as illustrative stories of what this means in communities of all sizes across the U.S., are provided in “The Wide Wings and Rotors of General Aviation,” which I’ve included with my testimony. The narrative that accompanies the study shows firsthand the many ways that GA is an integral part of our national transportation system and its important role in our nation’s commerce. But GA also provides an important lifeline for communities of all sizes and scope in terms of lifesaving emergency medical flights, providing connectivity to areas that are only accessible by air, fulfilling humanitarian roles that are often crucial in nature, and economic development. General aviation manufacturing is a significant contributor to this narrative. However, the marketplace for general aviation products is a very competitive one globally, and certification and regulatory processes and decisions can impact sales, revenue, and jobs. We need to ensure that the wide wings and rotors of general aviation remain broad. As members of this Subcommittee know well, manufacturers cannot bring any new aviation products to market without FAA certification approval. FAA has previously stated it expects continuing challenges associated with staffing, management of programs, and infrastructure investment while at the same time manufacturers continue to invest in the development of new aviation products and technologies. This reality is exacerbated by recent fiscal pressures, including the 2013 government shutdown and the continued impact of budget sequestration. Yet FAA and its employees have been slow to fully implement FAA- and industry-endorsed recommendations. When fully implemented, these process improvements will use FAA certification resources more effectively and enhance industry’s ability to complete certification of their products in a more timely and predictable fashion. I’d like to provide you with some tangible examples of how this can collectively impact the ability of companies of all sizes and scope in bringing their products to the marketplace. While FAA management is fully committed to the development and implementation of Organization Designation Authorization (ODA), which strengthens and expands the effectiveness of the delegation program, key benefits have been slow to be fully realized by many in industry and the FAA. Manufacturers and the FAA have invested significant resources in establishing and qualifying ODA organizations, including the personnel, training, approved procedures manuals, and oversight system. However, the practical implementation and use of ODA authorizations have been inconsistent from one region to another and even from project to project for the same manufacturer. Our members regularly experience situations where their companies have obtained full FAA ODA authorization to conduct specific technical compliance activities but, on a project-by-project basis, the FAA engineers and specialists choose to be directly involved and retain these activities themselves and not utilize the available FAA-authorized ODA resources. This inefficiency adds significant delay and cost to certification programs—not only for those manufacturers that have an ODA, but also for other standard certification projects that are waiting for FAA support that rely on these same FAA resources. One of our companies has calculated that a delay on a major aircraft certification project costs it approximately $10 million each month. Another issue is the ability to efficiently deliver FAA-certified and U.S.-manufactured products to the international marketplace. This is crucial given GA manufacturing exports have grown to as much as 50% of deliveries in any given year. The process by which foreign aviation authorities issue validations of FAA Type Certificates has become increasingly important, yet can be equally complex. Many of our member companies have said that getting a validation in time to meet an aircraft sale or fleet order is a white-knuckle experience that is costly and impacts the ability of US businesses to compete in the global marketplace. Our member companies often pay a fee and in some cases will spend tens of thousands of dollars satisfying a foreign authority’s review of the FAA approval. One manufacturer has shared that of over 300 different projects that have needed foreign authority approval, the average time for a validation has been 21 weeks where the FAA’s original certification took less than a year. Given this track record, there should be an opportunity for FAA to work with foreign authorities to reduce validation times substantially. In addition, the effectiveness of bilateral agreements also varies widely. For instance, one company experienced a range of 6 to 40 weeks for validations with bilateral countries. These countries have the same basic agreement with the FAA, but one takes almost seven times longer to do the same job as another. At 40 weeks, that is sometimes longer than it took for this company to develop and certify its product with the FAA. These examples are meant to provide illustration of the complex, complicated global regulatory environment that GA manufacturers face in getting their products to the marketplace. And they provide a tangible example of why it is critical to the economic health of our country to understand, address, and improve the current certification process. As this Committee knows, the type certification process is basically a verification review of thousands of individual discreet compliance activities the manufacturer is required to undertake to show that the design meets the safety standards established by the FAA. To leverage its limited resources, and supplement them with the best expertise available, the FAA can appoint and oversee industry individuals or organizations authorized by the FAA as qualified to support the FAA’s verification review and issuance of product design certificates and approvals. One of the leading FAA initiatives, the ODA program, builds on experience with past delegation activities that have been in place since the FAA’s beginning in the 1950s. FAA established ODA in 2005 to improve the safety, quality, and effectiveness of delegation programs and expand the use of organizational delegation to all type-certificated products. This has the potential to significantly reduce the FAA’s administrative workload by appointing organizations with the required qualification, experience, and management systems to supervise the day-to-day activities of expert individuals authorized to perform certification compliance verification activities. By shifting to a systems safety oversight approach of these organizations, the certification process can be more effective because the same FAA resources can now focus less on routine detailed design reviews and administrative supervision of individual designees and more on effective safety oversight and safety-critical activities. This will also enable the FAA to better support a continuously growing level of aviation industry activity in an efficient and timely manner, reducing delay and cost. With this Committee’s strong and essential support, progress is being made to improve efficiencies and streamline the FAA’s certification process. There has been tremendous effort by FAA leadership, industry, and Congress to better focus FAA resources on safety-critical activities and system oversight, and better leverage industry resources to improve the efficiency and effectiveness of the certification process. We greatly appreciate the inclusion of Section 312, entitled Aircraft Certification Process Review and Reform, in the FAA Modernization and Reform Act of 2012 (P.L. 112-95). Even now, over three years after its enactment, this section is helping drive implementation of several recommendations to improve the certification process. We applaud you for your initiative in this area, and the clear and consistent message that has been conveyed to stakeholders about the importance of this reform. Another example is the Small Airplane Revitalization Act (P.L. 113-53), enacted into law because of the strong leadership of Senators Klobuchar, Ayotte, Cantwell, Murkowski, and other members of this Committee. This law is a critical first step to regulatory reform of general aviation airplane design requirements to further streamline the FAA certification process and enable real-world safety improvements in general aviation. We can have the best research programs and the most innovative technology, but if products cannot get to market, it is of no benefit to manufacturers, users, or the cause of safety. We would not have gotten this far without the support and leadership of the members of this Subcommittee, as well as the leadership of the FAA and other aviation authorities. With your support and continued oversight, we are on the precipice of reforming the standards for certifying Part 23 airplanes throughout the world. Notably, the European Aviation Safety Agency (EASA) recently announced an Advanced Notice of Proposed Amendment, which solicits public input into a rulemaking proposal to achieve this objective. We are hopeful that as we approach reauthorization, similar progress is forthcoming from the FAA in terms of issuing a Notice of Proposed Rulemaking (NPRM) sometime this summer which is harmonized with EASA. Although these FAA and industry initiatives and activities are progressing, much more needs to be done to meet the necessary goal of improving the overall effectiveness and efficiency of the certification process and enhancing the competitiveness of aviation manufacturing and exports. Although there continues to be progress, we hear from our membership that they are not consistently experiencing the full benefit or utilization of their ODA which means FAA is also not securing the full benefits. To address this, we encourage policymakers to support initiatives that will enable more effective use of ODA and government resources. Specifically, we believe there needs to be a clearly defined risk-based approach for FAA oversight of both ODA and certification project activities. As stated earlier, companies with an ODA invest time and capital to establish an ODA and obtain FAA approval and authorization. In doing so, they are understandably frustrated when individual FAA employees have complete discretion, without appropriate rationale, to retain compliance activities on a project in an area where the ODA has been granted authorization. This duplicative action costs the company, as well as the government, time and resources that could be better utilized elsewhere. We would support efforts that would limit individual discretion to re-litigate ODA authorizations once those authorizations have been approved by FAA. Simply put, the FAA needs to stand by its approval of the ODA and allow the holder to utilize its authorities to the fullest extent. In addition, we believe that an improved issues resolution process for significant certification process milestones will enable better outcomes for both industry and FAA by ensuring that they are addressed in a timely manner. This will provide needed predictability and certainty. As a final point, I want to underscore that full utilization of ODA for individual projects still requires that FAA conduct its system safety oversight of the ODA and its project activities to whatever level the FAA deems appropriate, and to mandate corrective action as necessary. FAA also still retains full discretion to be directly involved in critical safety areas and novel technologies. Additionally, FAA will continue to directly manage certification projects and oversee individual designees for companies that do not establish an ODA due to their size and scope of activities. In fact, ensuring ODAs are fully utilized enables the FAA to devote resources and management to key safety issues and the significant majority of applicants and companies that do not hold an ODA. More effective use of these resources will ensure better outcomes for both large companies that hold an ODA and smaller companies in their need to get products to the marketplace in a timely and predictable manner. To successfully implement certification reforms, there will need to be some changes to the skills mix of the FAA workforce. FAA has a committed and capable workforce, but changes in training and job opportunities are critical. We believe a focus in this area would help facilitate this transition, provide the right incentives for employees, and offer clear guidance and direction. In this regard, we encourage the Committee to consider initiatives that promote a more successful workforce by preparing FAA employees for new and evolving roles and responsibilities in a systems safety approach to certification and oversight. Job descriptions, training, and performance objectives should be better aligned to support those employees who conduct ODA oversight audits or participate in organizational management teams. Additionally, we believe the development within FAA of a systems engineering discipline with appropriate training, compensation, grade level, and emphasis in auditing will enhance the overall certification process by promoting a system oversight area of emphasis within the workforce and the agency. In this regard, we look forward to working with FAA, Congress, and labor to ensure that appropriate training for new and existing workforce is provided and that it meets the regulatory and fiscal challenges of the future. We also believe that Congress should encourage FAA and industry to develop knowledge-sharing exchanges and other opportunities. Building on workforce initiatives, industry has supported the idea of creating metrics to assess FAA and industry certification project performance and ODA utilization, and provide feedback that could benefit all stakeholders. When implemented, FAA could periodically report to Congress on the data generated from these metrics. This would enable FAA, and industry, to evaluate progress and meet improvement goals and targets. Industry has also promoted the concept of a survey of all certification project applicants that would provide objective feedback on the overall performance and success of FAA certification activities, including the use of available delegation and the timelines and efficiency of the certification process. This will allow both industry and the FAA to gain constructive, objective feedback in areas where both parties are succeeding and also areas that need improvement. Another priority for our membership is facilitating acceptance of U.S.-manufactured and FAA-certified aircraft abroad. As mentioned at the outset, increasingly countries are challenging the FAA certification of aircraft and delaying the ability of manufacturers to deliver their products by conducting redundant evaluations to verify the safety of the design, even in cases where the U.S. has a bilateral safety agreement. This can be a significant problem as we work to grow exports because it causes further delays in the ability to deliver products. FAA must actively engage internationally with other aviation authorities to facilitate global acceptance of U.S. products type-certificated by the FAA, which will significantly reduce industry and regulator costs. We believe Congress can facilitate this objective by encouraging FAA to exert strong, aggressive leadership in educating and defending its certification policies and processes in the international marketplace. In doing so, it will facilitate the acceptance of U.S. products in the international marketplace. Another critical certification challenge is transitioning the piston aviation fleet operating today from leaded to an unleaded aviation fuel. The general aviation community collectively recognizes this is necessary to ensure aviation safety and the utility of the significant U.S. fleet of general aviation aircraft, as well as address the environmental challenges of lead emissions. With the support of this Committee, as well as congressional appropriators, the FAA, and the Administration, the collaborative government/industry Piston Aviation Fuels Initiative (PAFI) is making great progress in assessing and qualifying candidate replacement unleaded fuels. Critical to this transition is developing a pathway to certify the use of a replacement fuel by the existing piston fleet in an effective and innovative manner, and we look forward to working with the Committee on this important initiative in FAA reauthorization. As a final point, our membership continues to experience problems with the inconsistent interpretation of FAA regulations. For example, in the flight standards arena one of our companies worked with the FAA for more than two years to address an issue that resulted from the reinterpretation of a long-held FAA policy. While trying to implement the change, the company received inconsistent messages from the FAA field personnel working to authorize, support, and oversee this new requirement. After two years of frustration and inefficiency for this company, FAA decided to return to the original policy that was initially proposed for change. GAMA also believes there are tremendous redundancies that must be addressed. In the repair stations arena, companies receive multiple paper and on-site audits on an annual basis. A company can receive four or five paper audits a week from customers and then be visited by FAA and other international authorities multiple times during the year. FAA has taken recent steps at International Civil Aviation Organization to raise the profile of these redundant and wasteful oversight activities, but more must be done. Notably, inconsistent regulatory interpretation was an area of focus during the last reauthorization, as evidenced by Section 313 of the FAA Modernization and Reform Act of 2012 (P.L. 112-95), but only recently has it become clear that progress on this issue may be possible with additional Congressional direction. We encourage policymakers to focus on two main areas, both of which were included in the Section 313 Aviation Rulemaking Committee (ARC) recommendations. The first is establishment of a Regulatory Consistency Communications Board to promote constructive dialogue between the FAA and applicants for the timely resolution of issues. As noted previously, finding ways to mitigate and resolve issues is something we believe would be beneficial and moreover promote safety. Second, we believe that establishment of a Master Electronic Database Resource to provide FAA and stakeholders searchable access to all relevant rules and related policy and guidance would alleviate a lot of the inconsistencies in interpretation found today and provide a basis for more timely resolution of issues. Too often, FAA and industry resources are wasted because of a breakdown in communications. These two initiatives will help address this, and we are pleased that FAA recently indicated that it was beginning to move toward implementation in these areas, as well as others identified in the Section 313 ARC. In the context of the FAA reauthorization, we want to ensure these objectives are fulfilled in a comprehensive and timely manner. The aforementioned priorities are meant to outline ways we can move forward to improve safety, better leverage resources, and increase competitiveness in a complicated global marketplace. Maintaining global competitiveness and leadership of both the FAA and industry is critical for our nation’s aviation system and continued contribution to economic strength. Aviation safety, National Airspace System (NAS) efficiency, and environmental progress depend on the success of aviation manufacturers and aircraft operators. As manufacturers try to take advantage of more markets, issues like trade and policy become even more important. It is critical for the U.S. government and industry to advocate for policies that will help underpin aviation growth in the global environment. Given the obvious importance and interest in the international marketplace, GAMA strongly supports the reauthorization of the Export-Import Bank of the United States (the Bank), which expires June 30, 2015. Failure to reauthorize the Bank would harm our companies by taking away a valuable financing tool in the global marketplace. The broad spectrum of GA manufacturing depends on Ex-Im, including agricultural aviation. The Bank is increasingly important to general aviation manufacturing given that the export of general aviation aircraft has increased significantly in recent years. Since 2012, the Export-Import Bank of the United States has provided at least $1.9 billion in financing guarantees for U.S.-based general aviation manufacturers to facilitate the sale of their aircraft . If the Bank is not reauthorized, we believe this will hamper our companies’ ability to compete in the international marketplace. While other countries’ relevant agencies will continue to finance aircraft sales for manufacturers in their countries, U.S. companies would be without this support, thus creating a competitive disadvantage. The Bank’s work also supports small businesses that are aircraft manufacturers and suppliers. Air Tractor, which is a small, employee-owned company in Olney, Texas, manufactures agricultural and firefighting aircraft and leverages the Bank as part of its export transactions. Air Tractor has been able to increase its exports over the past decade with the help of the Bank, and the company reached record production in 2012. Its aircraft are delivered to customers in Argentina, Brazil, China, Australia, and Spain through joint export guarantees between the Bank and the Canadian equivalent, Export Development Canada. GAMA is open to constructive changes to improve the operation of the Bank, but these changes must recognize the critical role the Bank plays in maintaining domestic manufacturing jobs and decreasing our trade deficit as we expand into emerging markets. To that end, we applaud those on this Committee who have supported legislation that will enable the Bank to continue to support businesses of all sizes and scope that compete in the international marketplace and level the playing field. Chairman Ayotte and Ranking Member Cantwell, thank you for providing me the opportunity to provide the Subcommittee an overview of the importance of certification reform in maintaining and growing our industry and U.S. competitiveness. GAMA companies are passionate about these reforms because this is an area where, working together, we can improve safety, become more competitive, and expand U.S. manufacturing jobs. I appreciate the opportunity to outline these critical areas and look forward to working with you on these issues in the context of FAA reauthorization. I’ve been the President and CEO of GAMA for a decade this year. While our focus continues to evolve, at the core we’ve always worked to promote policies that benefit general aviation manufacturers and their employees by striving to achieve the timeliness and certainty needed to get their products to the marketplace. Collectively, with the leadership of Congress as well as the FAA, we have made significant strides, but there is much work ahead of us to ensure this vital and important part of our economy can be sustained and grow. Ten years later, I believe we are on the cusp of enabling our industry to soar to new heights with the support of policymakers, regulators, and industry.